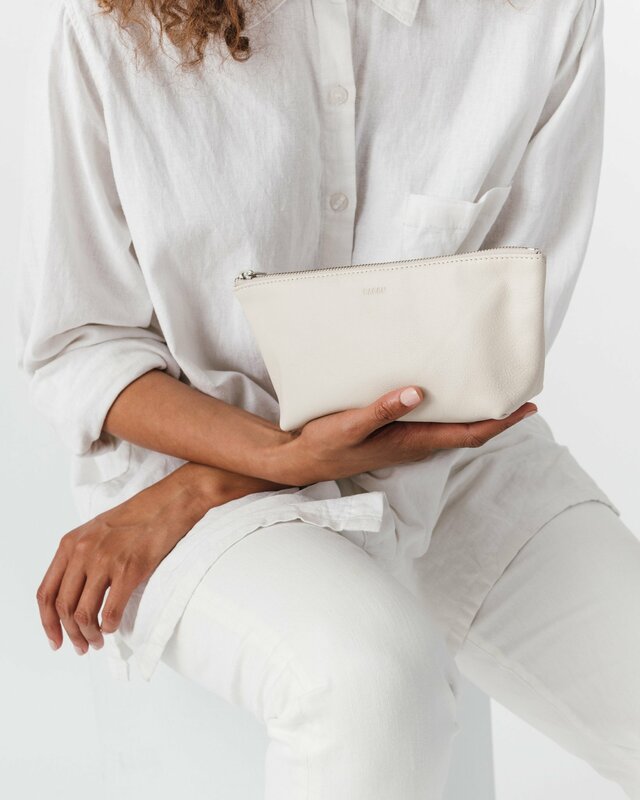 Baggu Leather Cosmetic Pouch – Stone comes in the softest leather. 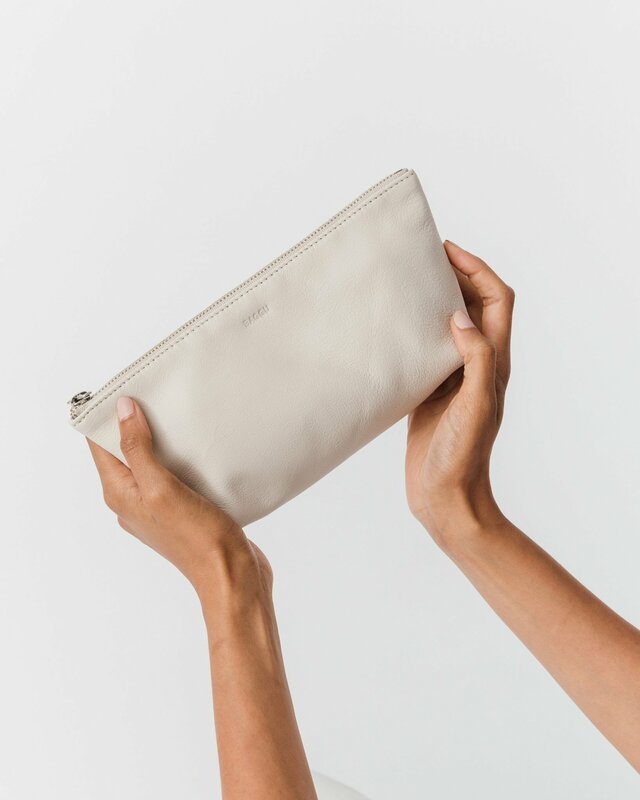 Perfect for storing makeup or other personal items. Fully lined. 10.25 in. W x 4.5 in. H x 3 in. 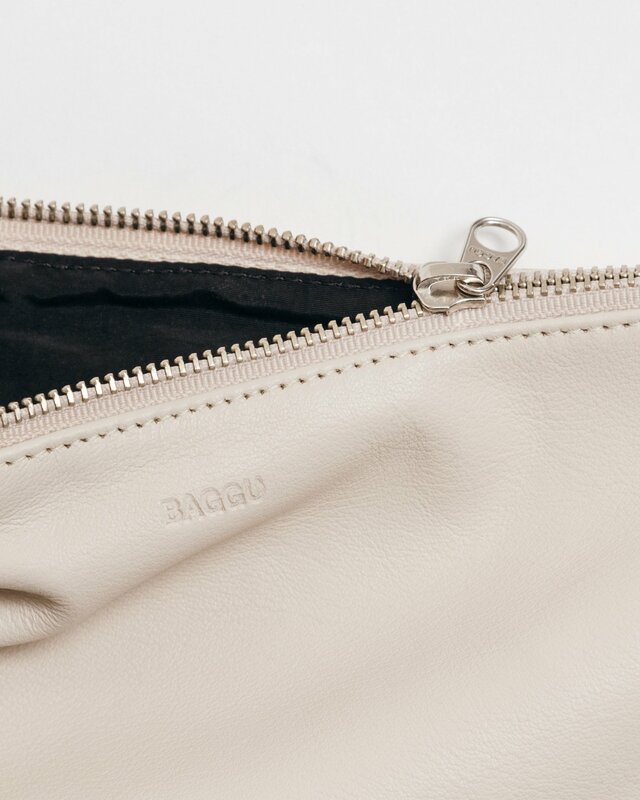 D.
Baggu Leather Cosmetic Pouch – Stone comes in the softest leather. 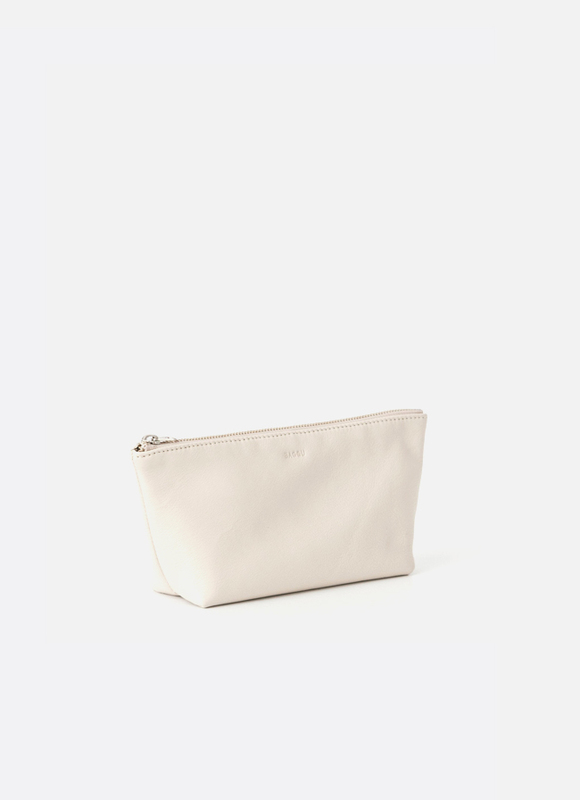 Perfect for storing makeup or other personal items. Fully lined.